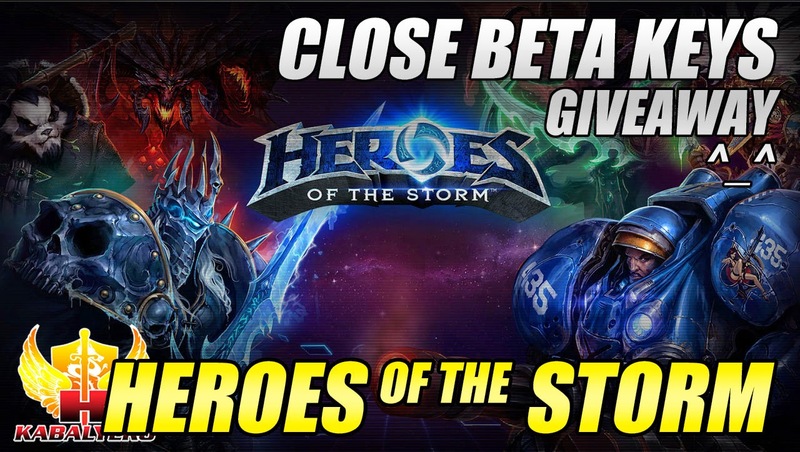 Heroes Of The Storm Close Beta Keys Giveaway (Close) - KABALYERO - PLAY, BLOG & EARN! Heroes Of The Storm Close Beta Keys Giveaway, this giveaway will give you a chance to get a Close Beta Key for Heroes Of The Storm. Today, I got a few Heroes Of The Storm Close Beta Keys from the SEA Publisher of the game, Asiasoft, and I'm giving them away to you guys. Unfortunately, I can't giveaway these Heroes Of The Storm Close Beta Keys the way I used to because the publisher has given some guidelines on how to distribute these keys. In order for me to follow the guidelines, I have created this blog post where you can enter the giveaway via Giveaway Tools. Just login with your name and e-mail in the Giveaway Tools Widget below and submit your entries. Since this is my first time doing a giveaway this way, I'm going to start by giving away 10 Heroes Of The Storm Close Beta Keys. If it works out without any problems then I'm going to do another and giveaway 10 more. This particular Heroes Of The Storm Close Beta Keys Giveaway will start on (please refer to the Giveaway Tools Widget for the dates). This giveaway is now close. The winners were selected by Giveaway Tools. Their names are displayed in the Giveaway Tools Widget. I have e-mailed the Close Beta Keys to all the winners. Thank you and Congratulations to all the winners.